Scarecrow on Pick for Merriment Mini Fairy Gardening. Full Description: This scarecrow is too friendly to do his job! The crows seem to enjoy his company - and so will you! 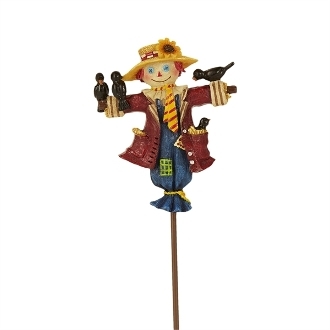 Designed by Mary Engelbreit, this scarecrow features all-weather paint and hand-painted details.